Cards to improve your customer satisfaction index! 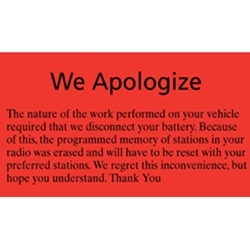 These inexpensive cards offer you the opportunity to express your concerns to your valued customers. It's another way of saying we appreciate having you as a customer and look forward to serving you in the future.